Oestrogen levels decline as we age, simultaneously reducing collagen production and leading to loss of elasticity and other hallmarks of ageing – especially in the ultra-delicate eye area. 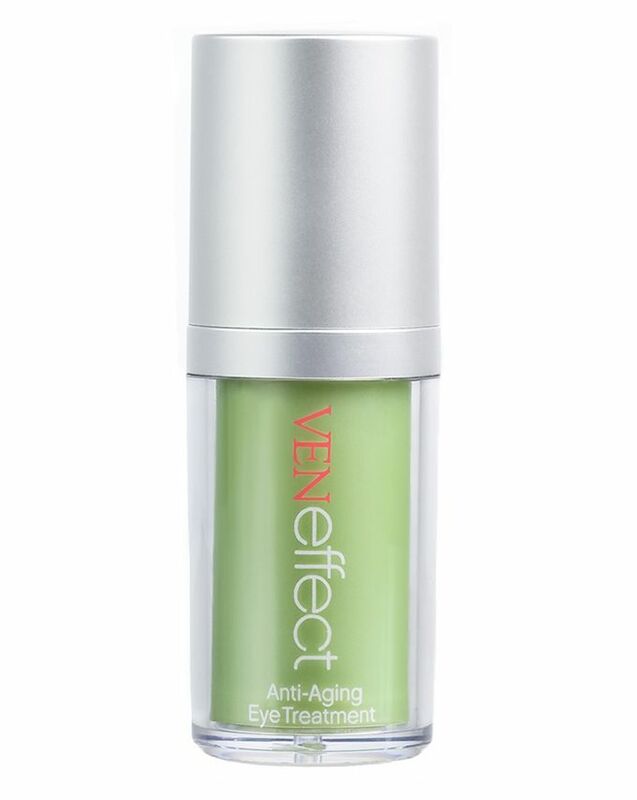 But it’s not all doom and gloom… VENeffect has the answer: an advanced complex of phytoestrogens, which stimulate cells to increase collagen production and hold on to precious moisture. This eye treatment utilises this advanced technology to boost elasticity around the eyes, reducing the appearance of fine lines and crow’s feet and leaving skin more youthful and bright. Don’t let oestrogen decline get you down! 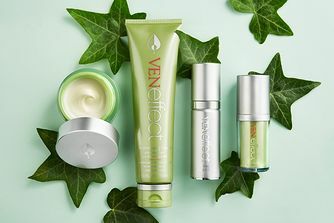 VENeffect has the answer to maintaining the collagen-producing benefits of your skin’s favourite hormone through a complex of 100% natural, plant-based phytoestrogens. Mimicking the plumping, youth-boosting benefits of oestrogen, these stimulate cells to increase collagen production and hold on to precious moisture – especially useful in the delicate eye area. This advanced eye treatment is rich in this clever complex of phytoestrogens, which works to improve elasticity in the skin around your eyes, reducing the appearance of fine lines, crow’s feet and wrinkles for younger-looking, brighter skin. Replenishing moisture, boosting smoothness and evening out tone, this eye cream swiftly restores skin’s vitality, helping you look bright-eyed and bushy tailed – even if you’re feeling the opposite. Gently smooth around entire eye area morning and evening. Reapply under eyes as needed throughout the day (will not roll up with makeup) to increase hydration and brighten. Water (Aqua, Eau), Glycerin, Isoeicosane, Isononyl Isononanoate, Cera Microcristallina, PEG-100 Stearate, Glyceryl Stearate, Hydroxyethyl Acrylate/Sodium Acryloyldimethyl Taurate Copolymer, Squalane, Sorbitan Monostearate, Dimethicone, Resveratrol, Aloe Barbadensis Leaf Juice, Biotin, Vitis Vinifera (Grape) Seed Extract, Citrus Grandis (Grapefruit) Seed Extract, Trifolium Pratense (Red Clover) Flower Extract, Glycine Soja (Soybean) Seed Extract, Helianthus Annuus (Sunflower) Seed Oil, Butyrospermum Parkii (Shea) Butter, Carbomer, Disodium EDTA, Butylene Glycol, Mannitol, Palmitoyl Oligopeptide, Palmitoyl Tetrapeptide-7, Polysorbate 20, Polysorbate 60, Sodium Ascorbyl Phosphate, Sorbitol, Phenoxyethanol, Caprylyl Glycol, Chlorphenesin, Tocopheryl Acetate (Vitamin E). VENeffect Anti-Aging Eye Treatment is ophthalmologist approved, hypoallergenic, non-comedogenic, fragrance free, gluten free, and paraben free. Made in the USA. I received this as a small sample on a recent order, just a small sachet - I wish it was more! This is a really beautiful eye cream, I really saw a difference right from the very first application, it tightened my early fine lines, brightened my eyes and I looked more awake. There was also no irritation- sometimes eye creams can make my eyes water but there was nothing with this. I absolutely love it and only wish it was cheaper! Paying £90 for 15ml of product is not good value in the slightest - I would have most definitely been a return customer if the product was cheaper- at present it's massively overpriced. Not just bio-available, this is bio-enjoyable! Rather like taking supplements EVERY day, I've always found eye creams somewhat harder to incorporate into my regular regiment than, say, moisturisers or serums, or chocolate. My thinking has in the past wandered into the, 'do you even need them really' territory. The answer, like most thing in life is I wasn't old enough to appreciate them yet! I am now old enough. This is a beautiful eye cream firstly to moisturise an area that I find gets excessively dry after hours of computer use, it won't fail you through the day. It provides a good base for concealer and works well for sensitive eyes. This eye cream also has a longer term plumping effect and supports better collagen production to maintain the firmness you have, which counters eye bags. The formula is so bio-available you can feel your skin welcoming it in, like one would Ryan Gosling holding two cups of tea and a pack of chocolate hobnobs. TOP TIP: when applying eye creams, feel for where your orbital bone is and only apply around the inner ridge of the socket, the cream doesn't need to go any closer to the eye for efficacy as it will absorb into that space. I find when people say eye creams are making them sensitive it's because they are applying right up to the lashes.